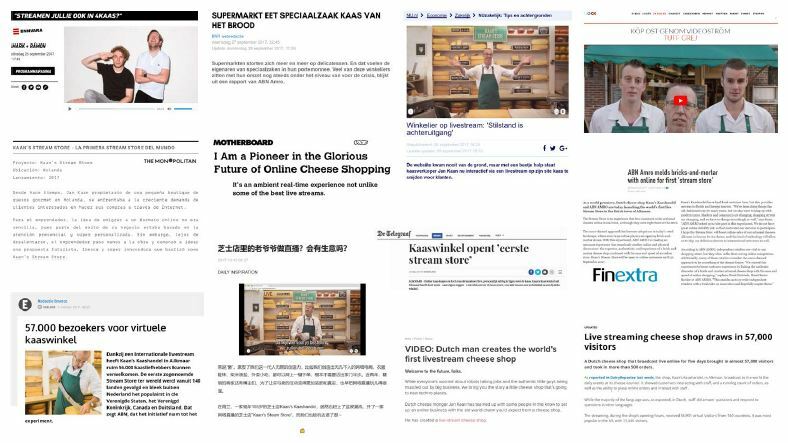 In order to show small retailers in the Netherlands that an omnichannel approach could be the ‘way forward’, ABN AMRO launched an experiment: KAAN’S STREAM STORE. The first livestream store in the world in which the convenience of online shopping is combined with the personal and authentic character of a real store. NewsLab was responsible for all communication related to this project. Our tasks included the analysis of sector reports as the basis for media relations, the development of all Q&As and press releases, local and international media contacts and the media training of our shopkeeper. The store was a resounding success with extensive attention in our own country and abroad!